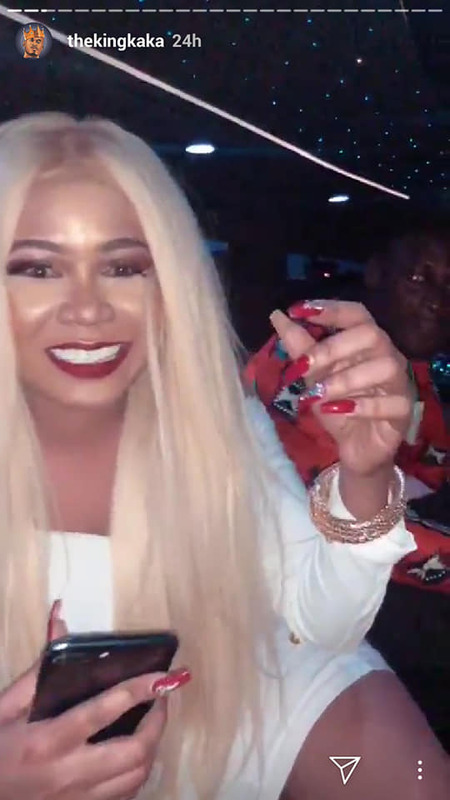 Popular rapper King Kaka of the Kaka Empire corporate brand has for the first time talked about Vera Sidika, after he was seen with her in public. The father of two, while in the US, posted pics of the bootylicious queen which many termed as ‘not attractive’, hence embarrassing her on social media. King Kaka recently jetted back into the country from the USA, where he performed at various shows. Speaking in an interview with Mzazi Willy M Tuva on Mambo Mseto, King Kaka said that Vera and him were friends. Vera and I are friends. We were with her in the same show in Las Vegas. Also, we met in LA and talked but she was busy doing her own business. We’ve been in touch for a long time. She’s a friend I knew way back. During the interview, he also talked about his better half, Nana Owiti, saying she was his greatest supporter. She respects my job and understands its (my job’s) nature. Most of fans are females and when I meet them, they ask for pics. I take and post on my social media accounts. My wife has no problem with that. My family is also important to me and it comes first. King Kaka and his wife Nana Owiti lost their unborn child in 2014 and recently, the now mother of two, shared the sad news, inviting mothers who’ve suffered miscarriages to share their sad stories.